Justice Available? Pedestrian Struck, Killed Crossing Street in Clayton County. 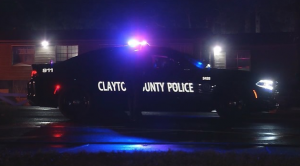 A man was “hit and killed…while trying to cross the street at a busy Clayton County intersection,” early Monday morning, February 11, 2019, according to AJC.com. The 25-year-old pedestrian was attempting to cross the street “when he was hit near the intersection of Garden Walk Boulevard and Riverdale Road,” Fox5Atlanta.com is reporting. The victim has not been identified. As the details of this incident continue to develop, and if the driver is found to be at fault, the victim’s family may elect to file civil claims for their loss. Based upon its experience and success handling pedestrian claims in Georgia, The Murray Law Firm suggests that the victim’s family should retain an experienced personal injury firm to protect his interests and ensure an unbiased investigation. Photographs of the roadways involved and a review of surveillance footage from nearby businesses or properties, if any exists, will need to be performed immediately before any evidence is damaged or destroyed.